New chamber music piece to be premiered soon! I’ve been pretty quiet on the web in the last few months. Apart from some great family vacations, I spent the summer writing a new chamber music piece commissioned by Montreal’s Ensemble Paramirabo. It’s my first completely “classical” piece that doesn’t include a jazz improvisor. New challenge for me! The instrumentation is the following: Flute, Bass Clarinet, Violin, Cello, Piano and Vibraphone + Percussion. I had a great time writing this piece. I’ll tell more about it very soon. 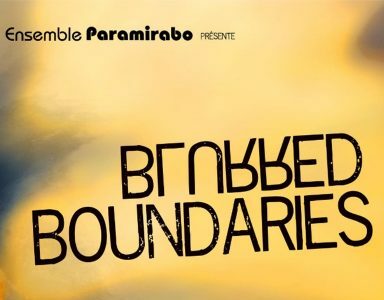 It will premiered in Montreal by Ensemble Paramirabo on September 23.